So you’re thinking about starting a new keeper league. Or maybe you have a keeper league and it’s starting to show some cracks and you want to bring it back to the sparkle of its youth. Well have I got something for you. Today and today only, I’m going to share the secrets of building and maintaining the perfect keeper league. You get everything you need to build an airtight league and all the tools you’ll need to avoid the pitfalls that doom many other leagues. Even better, you get all this for the incredibly low price of FREE. That’s right, no money up front, no payment plan, not even any shipping or that dreaded handling. I know you’re worried about that wicked convenience charge like when you order tickets online, saving the company money they would pay an employee, yet we still have to pay. Nope, none of that either. All I ask is that you follow me on Twitter at @Rotodaddy and shoot me a virtual high five there. Enough of my sales pitch for a free article. On with the show. Thinking of starting your own keeper league. 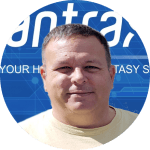 Check out the Fantrax Fantasy Baseball Commissioner and see why it’s the only site to use to host your league. Listen, Fantasy Baseball is awesome no matter how you like to play. I enjoy keeper leagues because you get the excitement and intensity of a pretty full draft day like in redraft leagues, but you also get to enjoy the long term planning and forecasting that goes into a dynasty league. Keeper Leagues let you have the best of both worlds when it comes to fantasy baseball. They are not without their pitfalls though. In the next few paragraphs we’ll talk about the ways you can make your keeper league a lasting one, avoiding the land mines along the way. You can do everything I’m going to mention in the next few paragraphs and still have the league fall apart if you don’t get quality owners. This is the most important task you will have in starting a keeper league. The temptation is to just send out blanket invites and take the first people who express interest. I urge you to be more discerning. Keeper leagues require a commitment. Allowing people in who just want to ‘try it out’ is a recipe for disaster. It may mean a lot more time and effort put into finding the right owners, but it will be worth it in the end. Now I mention finding owners first because it is the most important task. It should not however be the first task you take on. Before you look for owners you need to nail down the basic rules and setup of your league. I’ve seen leagues where they found their 12 or 15 owners and then tried to figure out the rules. It’s not impossible, but quite often you end up with owners playing in a league with rules they are not really on board with. That can lead to owners eventually moving on. Instead figure out your roster size, scoring format, trading rules and other details first. The league will work much better if you have owners that know the details ahead of time and believe in the basic setup of your keeper league. So read on for more ideas on the rules and format of the ideal keeper league. Just remember that the owners in your league are the key ingredients. Nothing will work if you get this wrong. All the best and worst leagues I’ve ever been in were defined by the people that were in it. I’m a big believer in roto. I think the categories allow for a level of strategy that points just can’t match. I relish the opportunity to organize my team in such a way that it maximizes the value within the statistical categories. In my opinion the roto format brings out more of the gameplay that makes it more about the fantasy owner and not just the MLB players. I’m also not a fan of Head-to-Head in general. As the cliche goes, baseball is a marathon, not a sprint. You should be rewarded for that maraton. There’s nothing worse than leading the league for the entire season and then losing out on a fluke week. With all that said I realize, many people disagree with me. The important thing is that the scoring is relatively simple and all owners are on board with it. There’s no right way to play fantasy baseball. Just make sure it works for you and the owners in your league. I prefer NL- and AL-only formats. I like the variation in the quality of players and believe the shallower player pool forces us to make tough decisions and challenges us much more as fantasy baseball owners. If you go with a mixed league format I certainly urge you to go with at least 15 teams. Deeper is better in my opinion. With shallower leagues there’s not a lot of differentiation within the player pool. It takes away some of the knowledge and skill involved in managing a team in deeper formats. Whether you go with an ‘Only’ or a mixed league, bringing prospects and minor leaguers into the equation is a must. We all love to find the next big thing! I think it also makes us better baseball fans when we expand our research to another level. My basic take on the player universe is that the deeper you can go, the more you’ll take advantage of the joys a keeper league offers. Obviously I can’t tell you what’s gonna work for you. I’ll share my thoughts and you can go from there. The leagues I’ve enjoyed the most have allowed owners to keep eight and 12 active MLB players. This allows you to build a base of players you can build a team around, but it also lets you enjoy draft day to its fullest and reshape your team every year. Limiting it to around 10 keepers also allows room for every owner to feel like they have a shot every year. Go much higher than that and the advantage some teams have will seem almost insurmountable. Of course that’s fine. They earned it. It’s just getting closer to a dynasty format and we’re talking keeper leagues here. IN addition to those active MLB players, I also suggest a minor league roster of between four and six players. The research it takes to draft these prospects really makes you a better fan. It’s also nice when one of your prospects breaks out and you have a stud at a low price for four or five years. I strongly recommend acquiring players through an auction. I am a big believer in the game of fantasy baseball being about the people who play it, just as much as it’s about the MLB players it is centered around. Auctions take our hobby to a new level you just can’t appreciate until you’ve experienced one. Whether you go with the auction or stick with a snake draft, I implore you to attach some form of cost to each player. The choice to keep a player shouldn’t just be about production. Attaching a cost to that production again forces decisions and allows for more use of strategy. It also helps in turning over the rosters and ensures star players won’t likely be kept for years on end. Another important item in keeper leagues is how long one owner can retain a player. Owners should get rewarded for smart drafting, but at the same time, should they get to keep a player forever when they may have just gotten lucky? I’m a fan of a traditional three-year contract with the option of signing a player to an extension for additional yearly salary. I think five years is about the limit that makes sense. Any longer and you’re getting into dynasty territory. 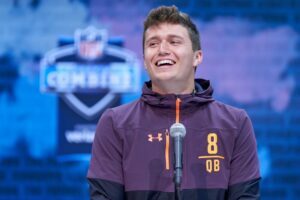 My basic take is that we should get to enjoy a smart draft pick for a few years, but there has to be an additional cost that increases over time. Eventually that player needs to be returned to the player pool. If there’s one problem common to just about every keeper league it’s problems with the dreaded dump trades. Dump trades involve one owner swapping out current value to another owner for potential future value. Dump trades usually involve prospects or low priced players traded for high priced studs. They make sense for both of the teams involved, but they can drastically change the standings within a keeper league in a hurry. Many people want to ban dump trades altogether, but I think they are an integral part of any keeper league. First of all I hate any rule that takes away the ability of an owner to run their team the way they see fit. But an additional effect of dump trades is to ensure yearly turnover in the league standings. If you go for it in the current year and trade away all your low priced keepers, it makes it very hard to come back and compete the next season. There is no doubt though that dump trades done wrong can ruin a league. My solution is the Dumping Proclamation. I write more about it here, but the idea is that before an owner can make a dump trade, they must post their intentions on the league message board. They then have to wait at least one full week before any dump trades can be executed. This let’s everyone in the league know that the players involved are available. Owners don’t get quite so upset when they know they had the same opportunity as everyone else to deal for all that talent. Once again the importance of common values among your owners is of the utmost importance. They need to know the policy on dump trades before joining the league and share a similar philosophy or there will be big problems ahead. Where to Host Your Keeper League? I have to admit I’m biased here. I work for Fantrax. If I go and tout some other league management system my bosses aren’t going to look on that with a smile. Luckily the Fantrax Fantasy Baseball Commissioner makes it real easy to promote. It is more customizable than any league manager I’ve ever seen. We just talked about issues like contract length, player pool, and salaries. All of these can be easily customized in a Fantrax league. If Fantrax can’t meet the needs of your league, no league management software can. Depending on the features you need for your league, Fantrax may even have a free option for your keeper league. If your league needs more than the basic features, Fantrax can handle anything you throw at it for a fraction of the cost of their competitors. Keeper leagues combine the positive aspects of redraft leagues and dynasty leagues, allowing both short term and long term enjoyments. If you’re reading this you probably already know that. The big takeaway here is that starting a keeper league should not be a spur of the moment thing. The league needs to be planned out and the owners need to be carefully selected. The worst thing you can do is cobble together a bunch of people with different ideas on what a good keeper league should be. Replacing multiple owners every year takes all of the steam out of a keeper league and will eventually lead to its demise. Get it right though and your keeper league will provide years of enjoyment along with some of the best friends and foes you’ll ever meet. Did you enjoy Doug’s take on building an awesome Keeper League? For more great rankings, strategy, and analysis check out the 2019 FantraxHQ Fantasy Baseball Draft Kit. We’ll be adding more content from now right up until Opening Day! How is the best way to ensure the Commissioner is viewed as not having a competitive advantage? Currently in our league, all claims/call-ups go through only the commissioner and on a daily basis he can claim that same player and get him if he is lower in the standings. Since the claims go through him he is notified of this activity, where no other owners are. I have always contended this is an unfair advantage enjoyed only by the commissioner. Can your site be configured to remove this advantage and create more transparency for all in the League? Any suggestions would be apppreciated. It is an unfair advantage even if the commish is perfectly honest. The commish in one league I’m in emails his picks to a specified address before waiver time and then shares the password with another owners once waivers have run. Everyone gets to see the timestamp on the email so there’s no funny business. Most commish services also offer an autmoated system where even the commish can’t see things until they’ve run. Does Fantrax offer this feature – thanks Doug? Yep. This description is for a waiver wire process. As you can see the settings allow different options as to who can view adds/drops. This one is for a FAAB system. 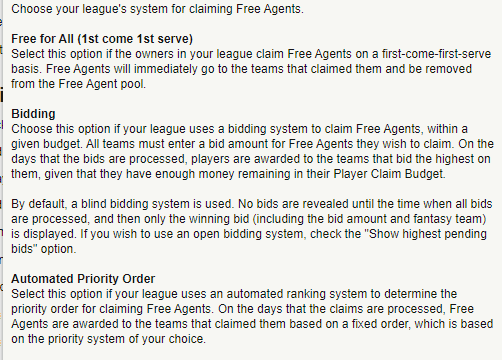 Again the default is for a blind bidding system. I tried to start a fantasy football league loosely affiliated with The Athletic on Fantrax (which i’ve used for years for my home leagues), but the immediate concern was: There’s no app. I know you guys think a link downloaded to my homescreen is an ‘app’, but it can’t compete with the interactiveness of a real app like ESPN, for example, has. I’m hoping this is forthcoming, because only then will you be able to take on the behemoths of the industry like espn, yahoo, cbs and nfl.com. Agreed. An OS-based app is the only thing missing. I used the old version from several years ago up until the access was cut off last week. While extremely buggy, it was still more convenient and efficient than the so-called progressive web app. Can we at least get that access back? Thanks for reading. Always feel free to throw ideas my way. I’m in a keeper league where we keep 4 players. What’s your thought on keeping hitters vs pitchers? My hitters are JD, Acuna, Bryant, Correa. My pitchers are Sale, Cole, Buehler. I think elite pitchers are getting increasingly more valuable… With that said you have a very tough situation. I would keep JD, Acuna, Sale, and Cole. Bryant and Correa could very well bounce back, but they have question marks.You could substitute Buehler for Cole, but I think the Dodgers will be limiting his innings quite a bit and it’s not like Cole is getting old. If you had more than 4 keepers I’d look at age more, but you’re always gonna be able to come up with four pretty good keepers, so looking much past the coming season is probably thinking too hard. Hi Doug: Enjoy your articles. I’m an old timer and have been playing in roti leagues (an AL only and an NL only) for around 30 years. The leagues use the original format, pretty much as you describe in this article. My son Rich and his partner Mike started All Star Stats and Rotoworld around 30 years ago. They ran both until they sold to NBC. They needed a 12th owner when forming the leagues so they asked me. I’ve been hooked since then and still enjoy it as much as ever – it keeps me young :). We have had many arguments about dumping. I think your idea of posting intentions is worth looking into. I’ll suggest it to the commishes. Continue writing interesting articles. There are people who still hate the dump trades, but it’s helped take a little bit of their venom away. Harder to complain when everyone had the same chance to deal for the big players. I am setting up a 5 player keeper AL/NL league. How many rounds do you all recommend to be available for draft pick trading? Any ideas? I’m not a fan of draft pick trading because I’ve seen people mess up an entire league through bad trades, but if you’re gonna do it, why would you limit it? Half the thrill of it is trying to properly value an early pick against several later picks. Just an opinion. Not sure there’s a right answer. Can you give a newbie some advice? I’m just entering the second year (first time ever keeping!) of my new keeper league after over a decade running redrafts. It’s the next two that I’m torn about. Which two of these rounds out my nine? I’ve tried using the difference in value analysis, and that tells me to keep Smoak and Mazara. But do I want to load up on CI like that keeping Smoak, Aguilar, and Suarez? As for OF, do I want to keep Hoskins who is only a +$4 value over Mazara? And it seems hard for me to pass on $8 for what Blake Treinen can seemingly deliver. Treinen is a must keep. If you can avoid getting into bidding wars for closers it’s always smart, and Treinen is one of the top options, so I keep him for sure. The other one is definitely tougher. I keep Hoskins. He’s still at a decent price and on the way up. If you absolutely don’t want to spend the money on him Smoak does gain a lot of value in OBP leagues.